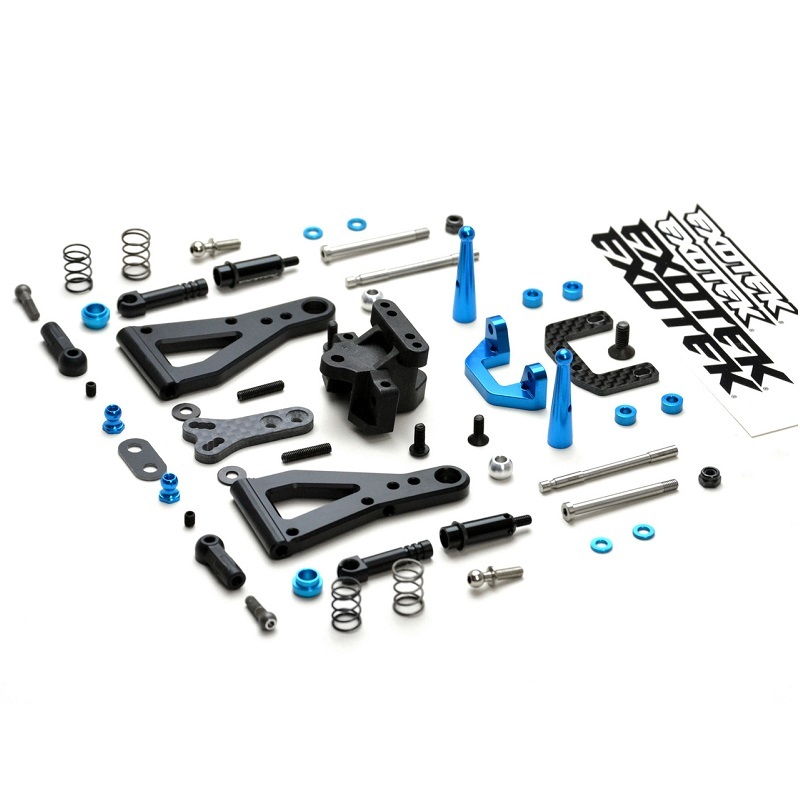 New V2 IFS set includes wider (+2mm each arm) heavy duty machined delrin arms, precision machined delrin shock pistons and HD steering pins. True independent front suspension set for the TAMIYA TRF103, F104 or EXOTEK F1R3 (see notes below for other required items). With our IFS suspension your handling becomes much more linear with real body roll characteristics which means you can drive harder into a corner while maintaining stability and confident road holding performance which translates to improved overall race time results and consistency. Excellent on rough and bumpy track conditions and tames all high speed asphalt tracks by making your F1 glide through all sections. Like a touring car the IFS let's you attack corners without fear of getting pitched out of the groove which typically happens with conventional F1 cars. Includes medium hard and hard springs sets. Optional soft IFS spring sets are available.